“The Universe Provides” detail. White linen hand embroidered and beaded with semiprecious, crystal, and glass beads, 10 x 10 inches, 2017. Here are some detail shots of one of the embroidered mandalas that were completed last year during our time in Mexico. 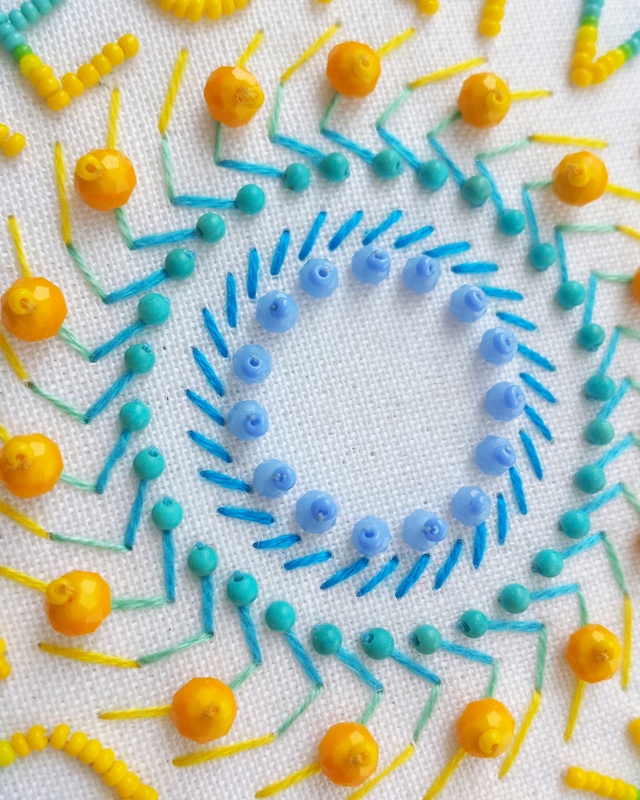 This mandala has a face of white linen and a crisp yellow and turquoise color palette. This seems just the thing to look at in this very grey day in Toronto – April 15 and there is 2 inches of snow on the ground and a blizzard in full swing as I write this! Those are the words that are beaded into the pattern with tiny seedbeads. 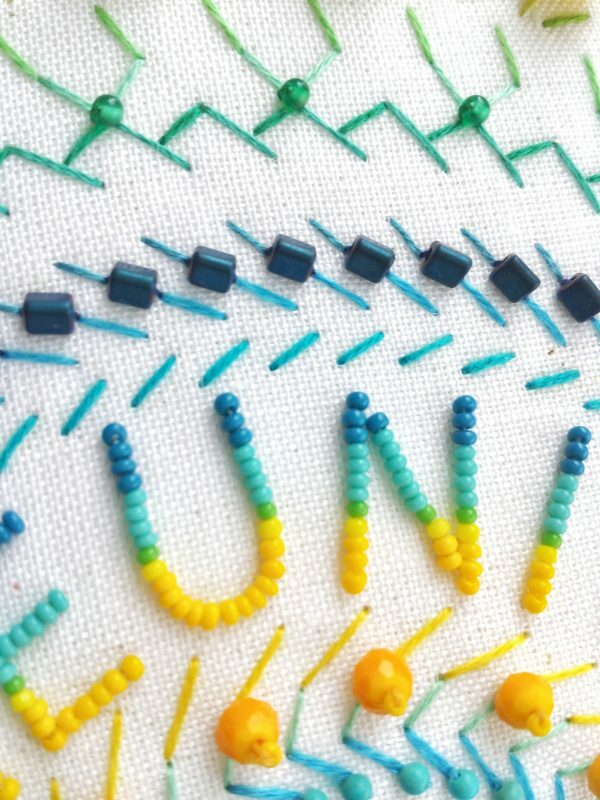 The letters radiate color, starting with yellow towards the center, becoming turquoise, and ending in in teal. These kinds of radiating color patterns produce movement and the mandala seems to breathe. Hopefully, it reminds us to breathe, too. 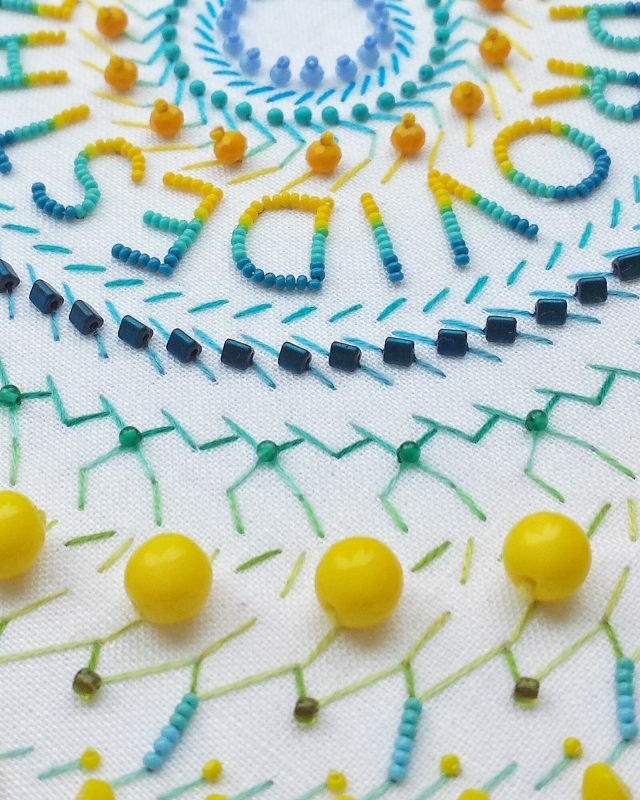 This work is one in a series – read more about the Embroidered Mandalas Project. 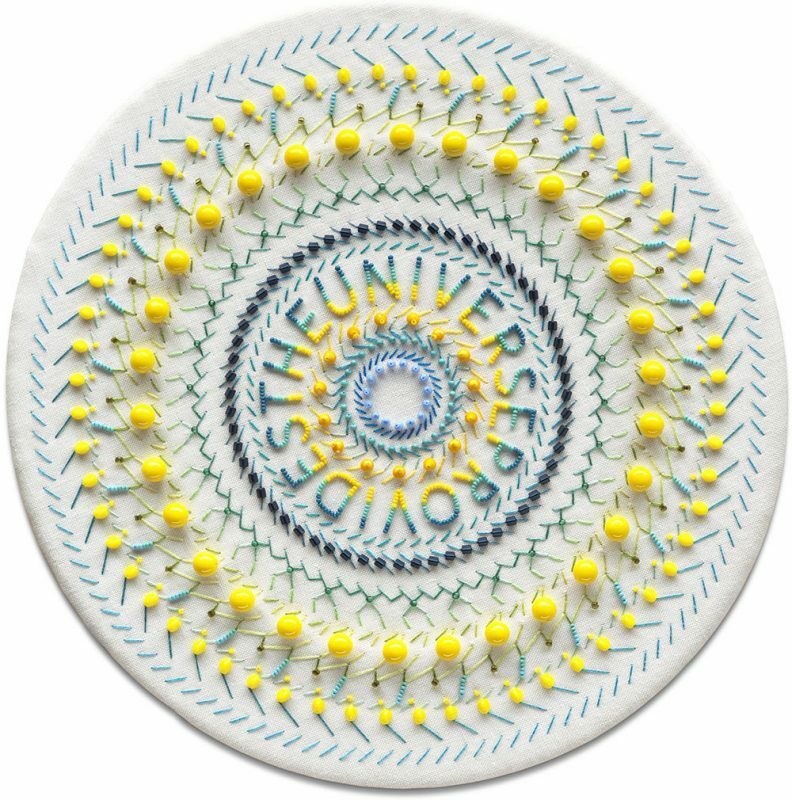 “The Universe Provides” White linen hand embroidered and beaded with semiprecious, crystal, and glass beads, 10 x 10 inches, 2017.